housing for the flock. 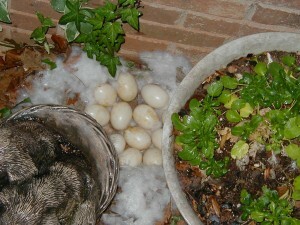 Breeding and hatching season has arrived. 1. 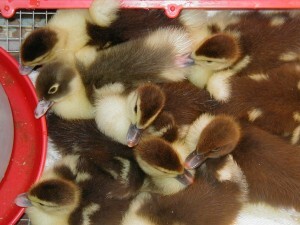 5 ducklings hatched out in an incubator. YOU are their mother. 3. One mother duck is sitting on a nest in front of the driveway. distressed about finding half-eaten eggs/ducklings in the front yard. day during the warm season. proper housing? Can motherhood cause brain damage? Must use scientific examples– can NOT use what someone said on Dr. Phil this morning. If it is a protest did she get the idea from those annoying cows in “Click, Clack, MOO”? one episode of Dragon Tales (which is entertaining your children while you work). Do not give up, IT CAN BE DONE! 10:38am. Will you make it until bedtime at 7:30pm without drugs or alcohol?